Binaural beats can be used to induce certain brain wave frequencies, including those active in various “mind awake-body asleep” states. Binaural beats to induce the “body asleep” theta brain wave frequencies of dreaming REM sleep have been observed to be effective in triggering Out of Body Experiences and Lucid Dreams, and also the introduction of “mind awake” beta frequencies layered with Theta is also useful. 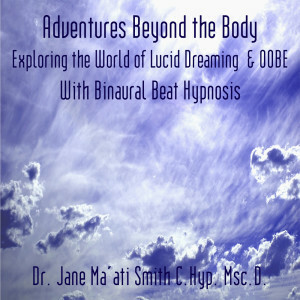 This mind expanding binaural beat sound therapy program combines the use of a hypnotic induction to free your mind, and a combination of Theta and Beta brain wave frequencies to gain access to the astral worlds of Out Of Body Experiences, Astral Projection and Lucid Dreams. Pay Pal for download only, not for streaming.